I do spend a lot of time in my garden. I try so hard to make it lovely and inviting to my young adult girls to entice them out of the house. I would like to be more sociable and invite friends around. 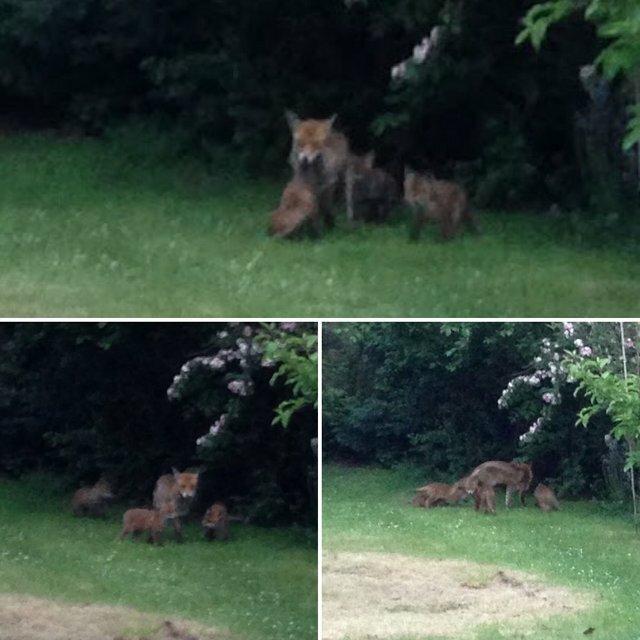 A mummy fox visited with her babies- all four of them! 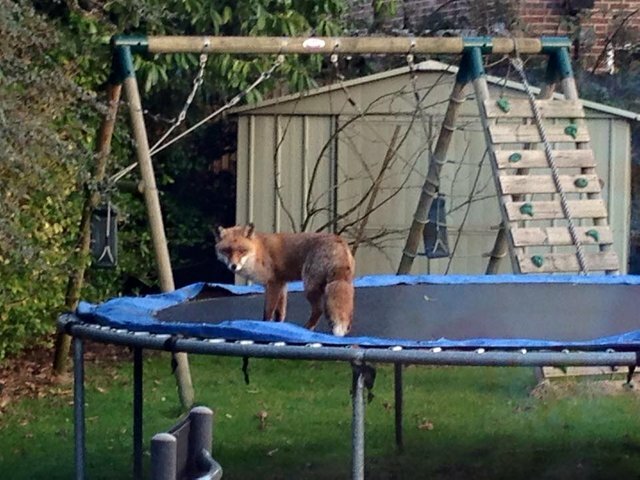 We used to have a 14 foot trampoline in our garden. 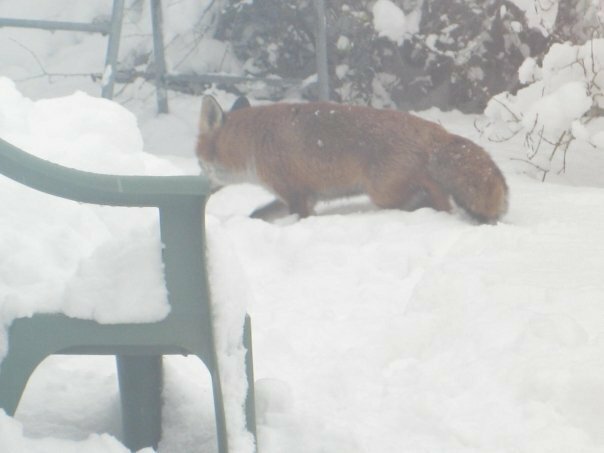 One morning we found two foxes playing in the garden. One was on the trampoline while the other was under it and they were playing 'catch'. It was so cute! Unfortunately I captured that in video form so won't be able to share it. 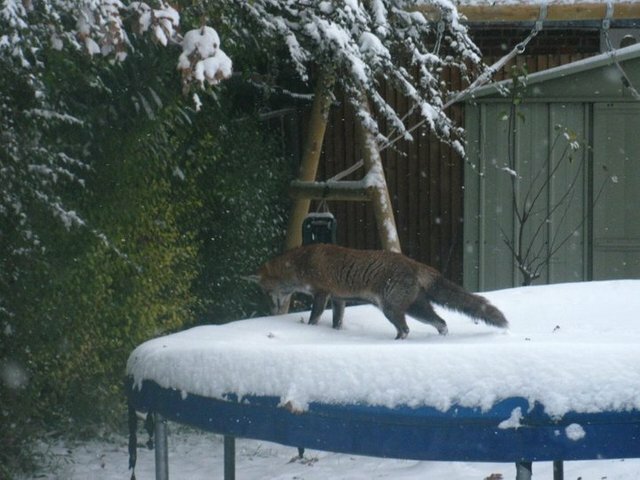 They do like our trampoline a lot! 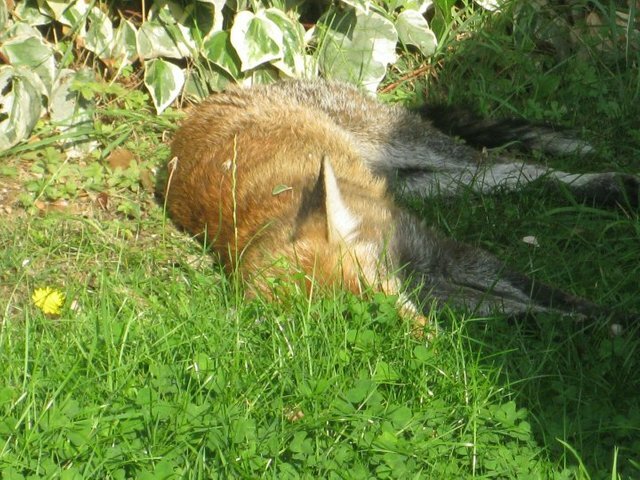 A few years back we even found a healthy looking fox lying on its side by our fence but it was dead. We had to bag it up and dispose of it in the public bin. Foxes make the darnest noises. It's not a very nice noise. They shriek! They sound like they are being abused! It really isn't a pleasant noise at all. Sometimes we hear them in the middle of the night as our bedroom faces the garden. Foxes are not very liked here. They steal footwear from the gardens and chew them. They rip rubbish bags looking for food and trash is spread everywhere. The worst thing about them is they soil on the weirdest places! They like to poop on things!!! We found poop on our mini trampoline and door mat. 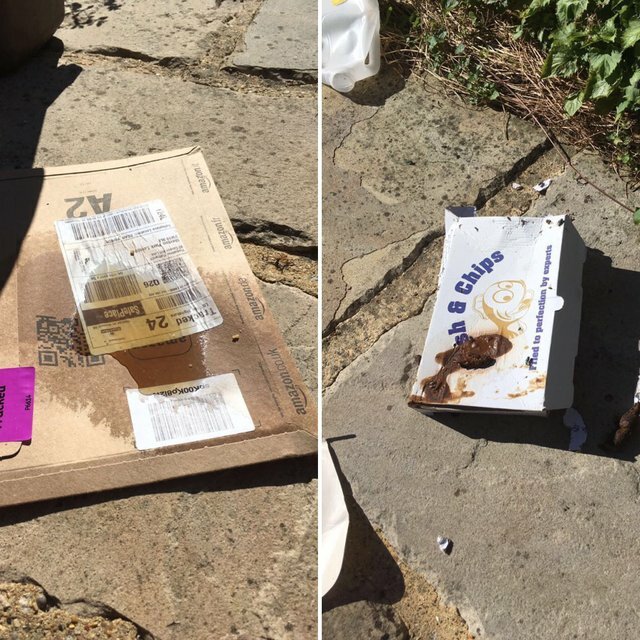 One actually took an Amazon parcel box out of my recycling bin and peed on it and next to it was a fish and chip box with poop on it! Warning.... graphic photos coming up! Sorry this is another graphic picture but just to give you a rough idea of the heights they go to, to poop on things! This was the most recent! 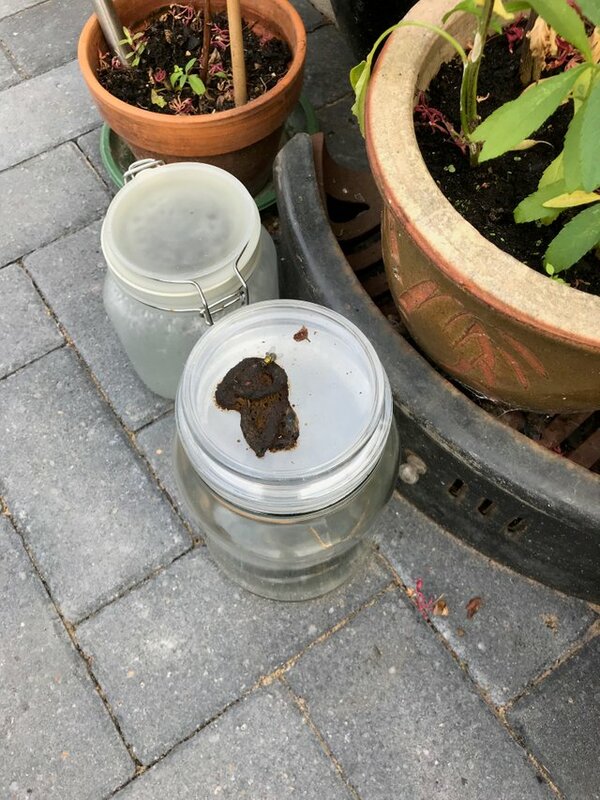 It pooped on the jar that I keep my solar lights in! Oh lovely! Just spotted a fly on it! LOOOOOOL! 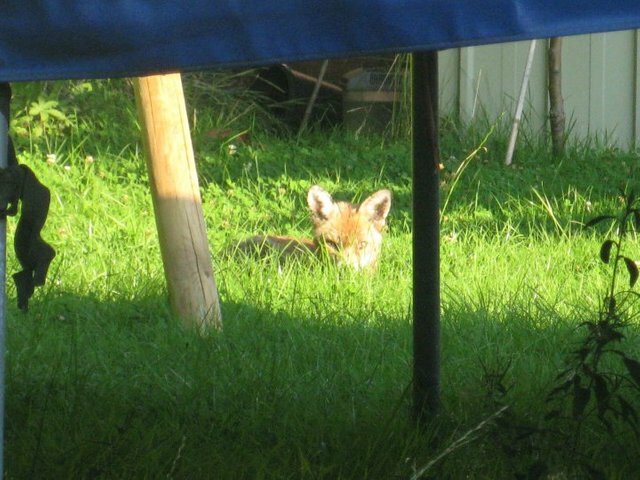 We may just have to build a loo just for them in the garden! Congratulations! This post has been awarded a 100% upvote by @lottobot! This post was selected from among all recent posts as the winner of lottery #1912, which had no valid entrants. You can win again by entering in @lottobot's regular lottery! To nominate a post for the regular lottery, just send 0.1 SBD or STEEM to @lottobot, and include the url of the post you would like to nominate as a memo. Learn more by reading the introductory post! Good luck!